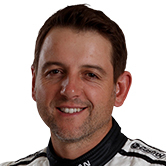 An apologetic Todd Kelly has been docked 25 points following an incident with Garth Tander in today’s opening leg of the Vodafone Gold Coast 600. 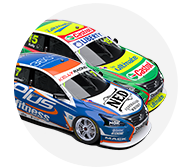 Both cars were sent spinning after Kelly locked a tyre and speared into the left-rear of the Garry Rogers Motorsport Holden as they battled for 11th place on lap 45. Tander rejoined and finished 13th in the car he shared with James Golding, while the Kelly/Jack Le Brocq Altima hit the concrete and returned to the garage to retire. Stewards conducted a post-race investigation in which Kelly admitted to careless driving, resulting in the 25-point penalty. “I was right behind Tander into Turn 1 and I had a wobble through the kink,” explained Kelly. “I ended up with two wheels on the wet line and they instantly locked. I couldn’t stop the car. So it was totally my fault. “It’s a shame we ended the day like that. The car was good enough to drive around where we were. So it was a shame to not finish there. Kelly drops from 18th to equal 19th in the standings as a result of his penalty, locked on 1,218 points with James Courtney.